For anyone who grew up in Markham as a kid, chances are you remember Morgan pool well. 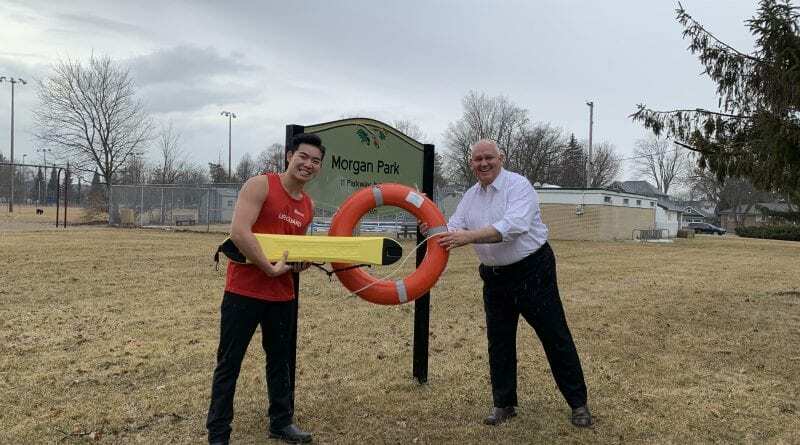 The outdoor swimming hole, just west of Main Street Markham and south of Parkway Drive, has been home to millions of happy summer memories for generations of kids and those wishing they still were. But, with bigger community centre pools opening around the city, is there room for a fun, but fading relic like Morgan? Apparently, there is. The newly approved Markham budget has set aside funds to give the grand old gal a facelift. Construction on an improved facility will start in September 2019. The $2.6 million allocation will allow for a new building that will include change rooms, pool office and mechanical improvement along with a tot pool, splash-pad and new parking lot. The price tag includes $254,000 for design while the rest is all about the build-out. Mayor Frank Scarpitti is nostalgic for the older places like Morgan that play such an important role in the community’s collective memory. 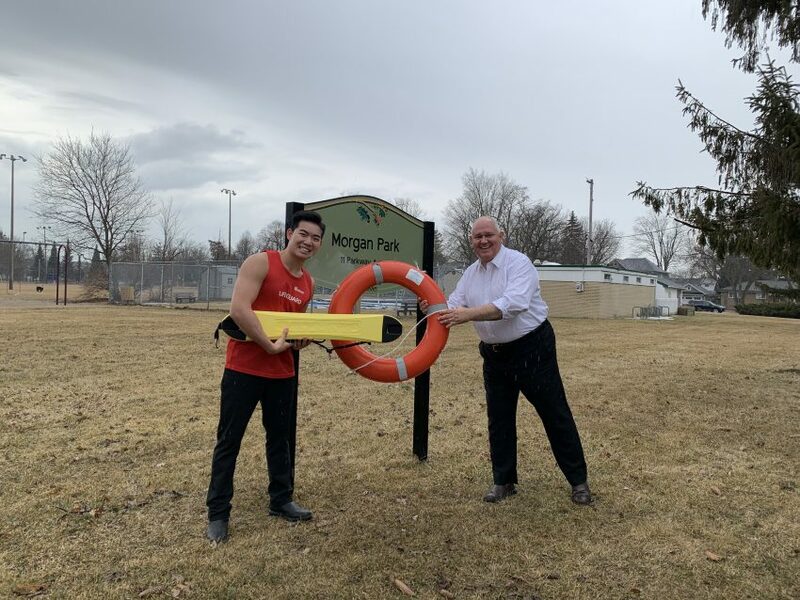 Photo: Aquatics supervisor Stephen Luu and Mayor Scarpitti are all smiles about the Morgan renovations set to start this fall.